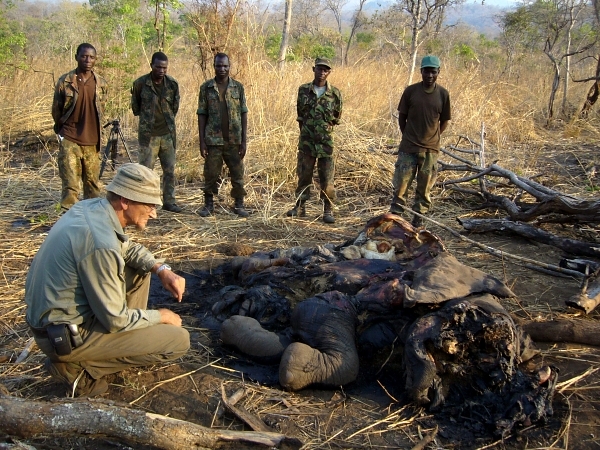 Over the past 20 years the wild elephants of Thuma Forest Reserve, have come back from the brink of extinction. Previously threatened by habitat loss and poaching the population is thriving due to the long term commitment by the Wildlife Action Group. (WAG). WAG scouts have worked 365 days a year for 20 years, protecting the elephants from poaching for the Ivory trade and conserving the forest habitat to the benefit of an incredibly recovered flora and fauna. WAG also supports local communities providing education, materials and employment as well as funding long-term income generating activities like beekeeping for the local people. The ever growing human population which lives close to the edge of the reserve are smallholder farmers and grow crops for food and income. The elephants who have roamed freely do not know of human made boundaries and destroy often the livelihood of whole families or even villages. Often confrontations with causalities on both sides can not be avoided. Addressing the human-elephant conflict is essential in finding a sustainable way forward for both the local communities and the wildlife. Malawi is one of the poorest countries in the world, with most of the population living on less than 1 euro a day. The majority of the population need to farm at subsistence level in order to survive. The previous demand by Local Government to fence off the remaining reserve within 6 months or the elephant population will be relocated to National Parks elsewhere in the country, is definitely of the table! But local communities rightly request / demand that WAG has to protect their property and life from elephants by erecting the Elephant Fence! 5 Euros will pay for materials and labour for 1 metre of fencing. 500 Euros will pay for materials and labour for 100 metres of fencing. 5000 Euros will pay for materials and labour for 1 Km of fencing. We know we can do it – but only with your help. Please help us to continue the success of the past 20 years. WAG knows it is possible for wildlife and the humans to live in harmony. WAG pledge to be here for the long term, protecting the elephants and their habitat. 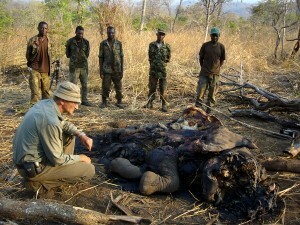 Help to protect the Thuma elephants!